Have I carefully read and do I fully understand the entire lease agreement? Have I negotiated the best deal possible? Make sure you have a lease agreement that meets the needs and desires of all parties involved so that all expectations are realistic and can be met. What are my capital expense obligations? Make sure you understand what the landlord defines as capital expenditures and what your obligations may be if there are needed upgrades or repairs to building structure, HVAC, plumbing etc. Most landlords will require some type of property insurance to protect your space, make sure you fully understand what all policies need to include and what those insurance costs might be to factor into your overall operating expenses. 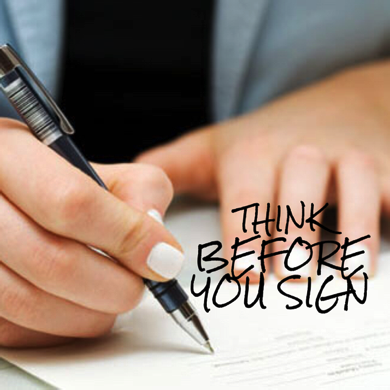 Most landlords will not sign a lease unless you have a corporate or personal guarantee for the lease. But guarantees can potentially be negotiable. So please be sure to discuss all options with your broker. When you lease commercial office space with Blue Ridge Realty, we will walk you through the entire process so you feel secure in your leasing decision.